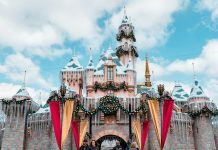 Calling all Disney fans, adrenaline junkies, movie geeks and anyone who knows how to have fun in a theme park, time to get your theme park fix in California! Find your perfect theme park match, helpful tips, and even discounted tickets! You might know LA as the City of Angels and the home of Hollywood, but to me, this was theme park heaven. A while back, we visited Ferrari World in Abu Dhabi and rode on the world’s fastest rollercoaster. Upon returning, I practically begged to cover more theme parks. Cos (shamelessly speaking) there’s no one else who loves theme parks and rollercoasters as much as me! 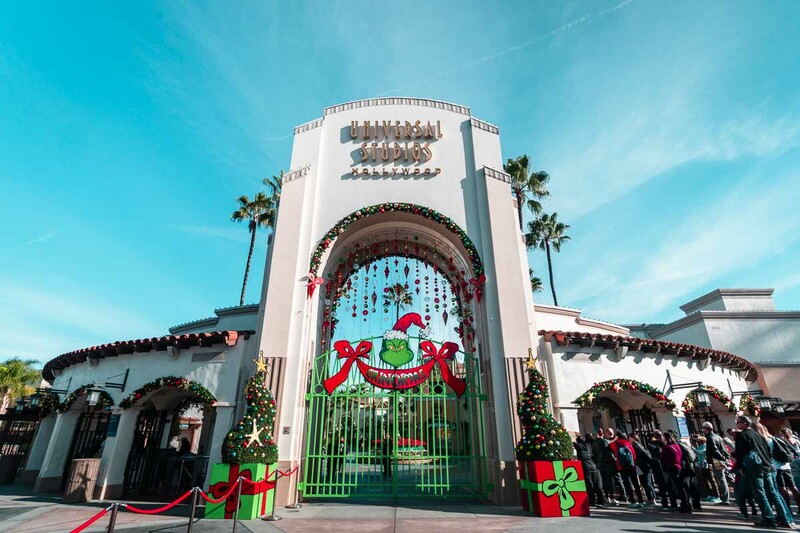 In LA, there are SIX major theme parks, including crowd favourites like Disneyland and Universal Studios Hollywood. In terms of the ambience, themed areas, and rides, they are really unbeatable. The biggest problem at Six Flags Magic Mountain is figuring out which rollercoaster to go on first. 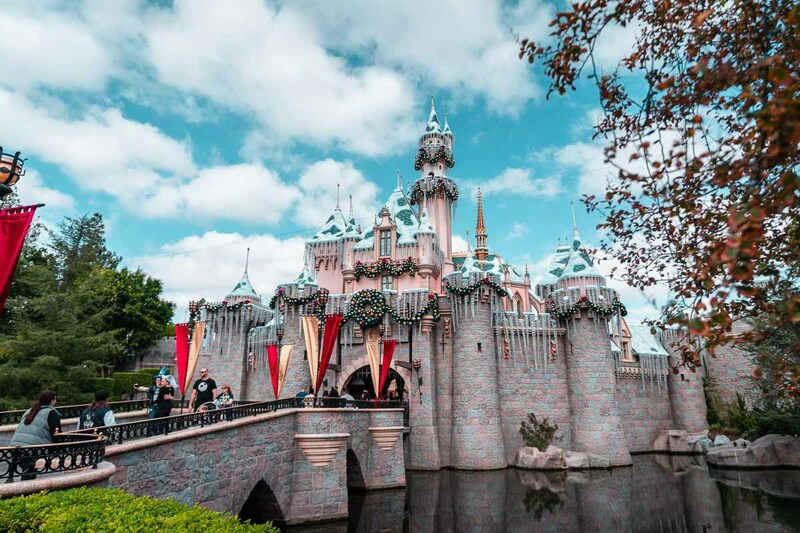 Whether you’re young or young at heart, if the word “Disney” floods you with childlike joy and fills your head with catchy sing-a-long tunes, then Disneyland has your name on it. Buzz Lightyear briefing riders on his Astro Blasters ride. Opened in 1955, this is the original Disneyland that was designed by Walt Disney himself. Entering this park is like entering a carefree world full of enchantment and imagination. With eight themed areas from Tomorrowland to Adventureland, it’s hard not to be captivated by the elaborate attractions, music and decor. Rides at Disneyland are rather mild as the park is built to be family-friendly. That said, there are some thrilling rides that’ll get your heart pumping. 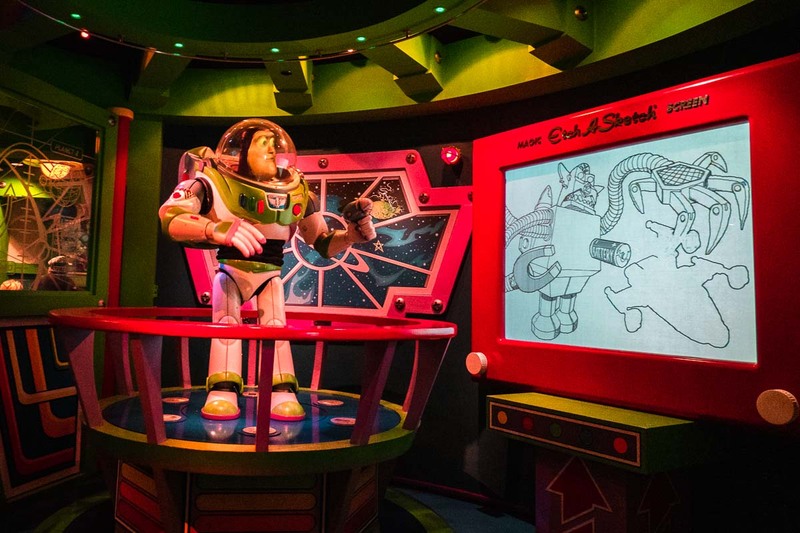 One of them is the Buzz Lightyear Astro Blasters Ride, where you’ll be riding around in the dark blasting at the Evil Emperor Zurg and his cronies! Disneyland is also the place to be if you’re big on entertainment. Festivals and parades here are grand spectacles with Disney characters and performers dancing through the streets to classic tunes. 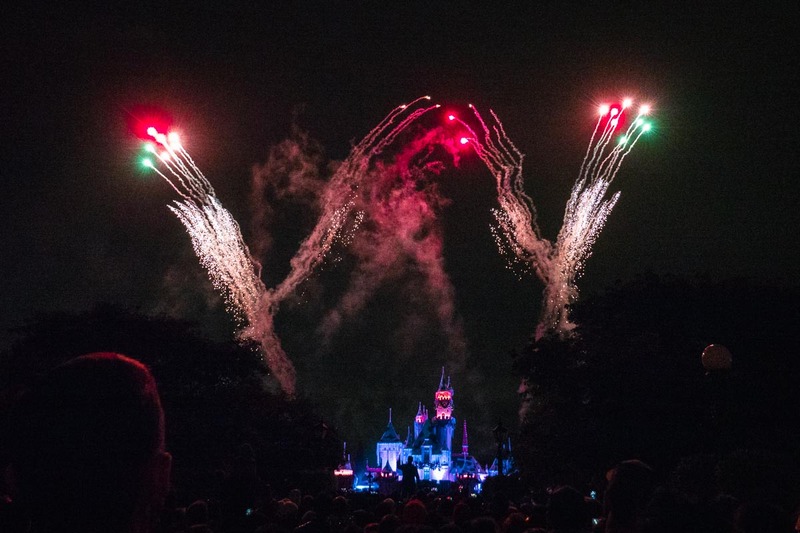 If it’s available on the day you visit, catch the fireworks show behind Sleeping Beauty Castle — just like the movies! — to complete your magical experience. 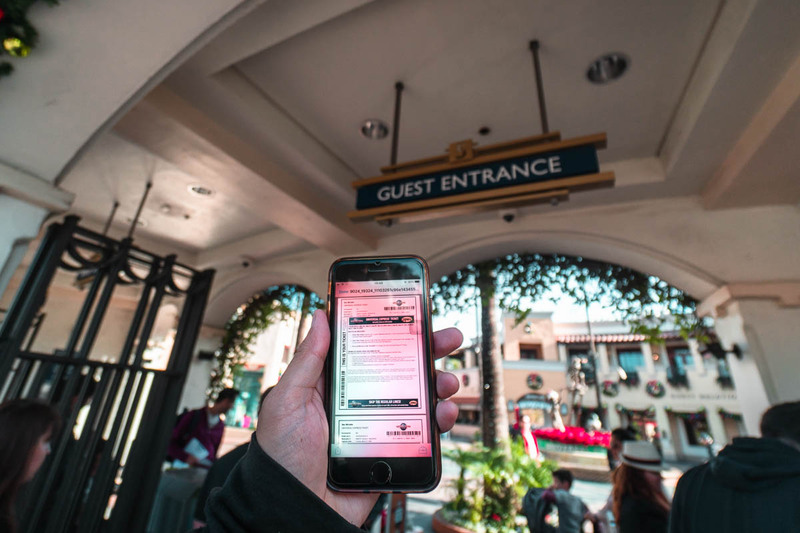 Insider’s Tip: Download the Disneyland Mobile app to get real-time updates on wait times, information on rides, and where to locate Disney mascots. How to get there: Take Metro bus 460 from Downtown LA. Think Disneyland is a bit too kiddish? Prefer more exciting rides and/or newer Disney flicks like The Incredibles 2? Then Disney California Adventure Park might be right up your alley. Right across the gates of the OG Disneyland sits Disney California Adventure Park, the “older sister”. 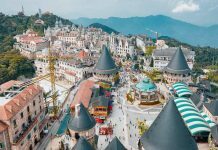 What sets this park apart are the exhilarating rides and attractions that are geared towards an older crowd. 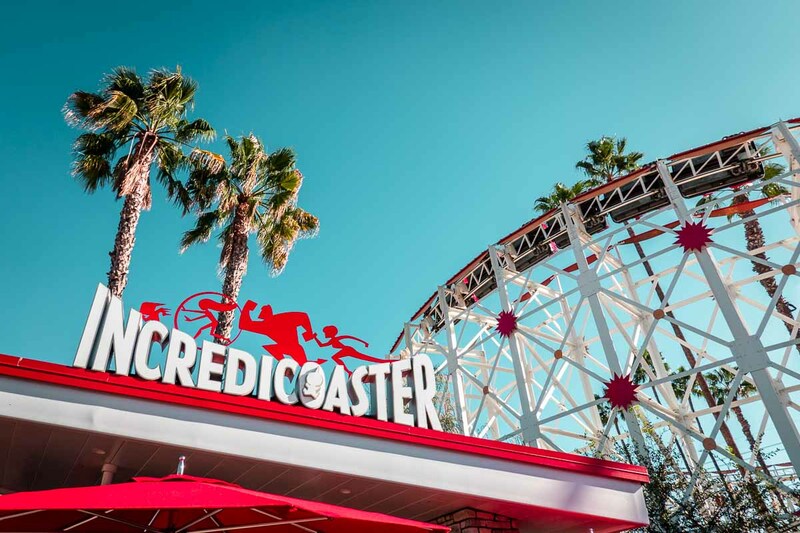 Jump on the Incredicoaster, which sends you on a high-speed chase through tunnels, twists and loops trying to catch the mischievous Jack-Jack. Cars Land, only it’s filled with legs not wheels. Compared to Disneyland, there are seven areas themed after Disney’s newer movies. 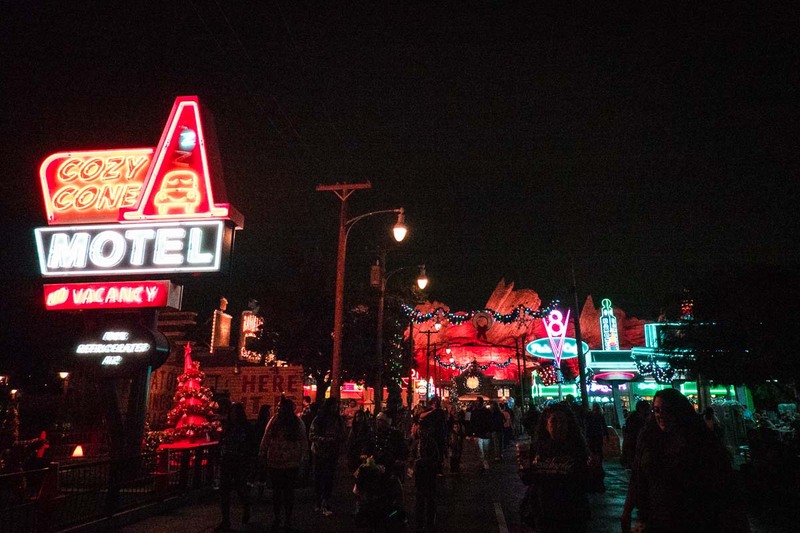 For Pixar fans, Cars Land will make you feel like you’ve stepped into the film with its rides, restaurants, and even desert background. For all the superhero fans, you can look forward to a Marvel-themed land that’s rolling out in 2020! While each Disney park has loads of rides and attractions to explore, it’s possible to conquer both parks in a day. 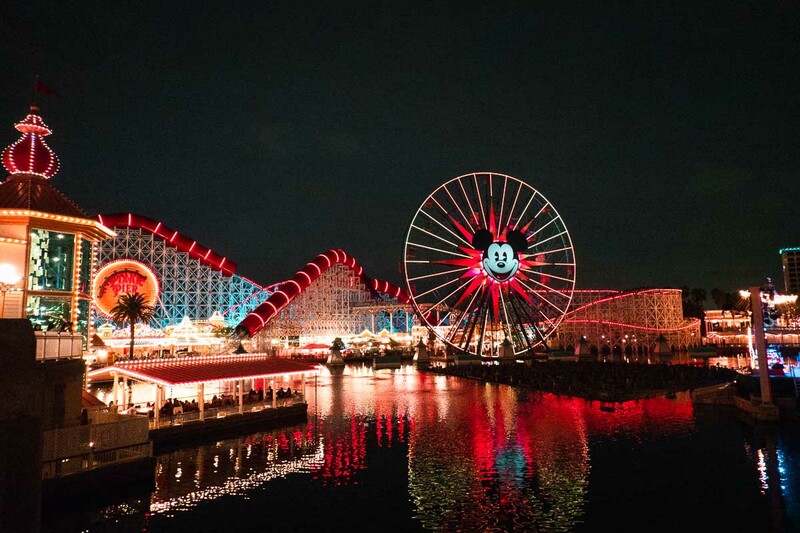 You just need two things: a one-day park hopper pass, and our guide to California’s Disneylands (coming soon!). No need for fairy godmothers! Insider’s Tip: Grab a FASTPASS at the start of the day to guarantee your spot for the more popular rides. Also, queue in the Single Rider lane for shorter wait times (especially for Radiator Springs Racers in Cars Land). Can you recall every spell used in the Harry Potter films? Can you sing the “BANANA” song like the Minions do? Yes or no, doesn’t matter! 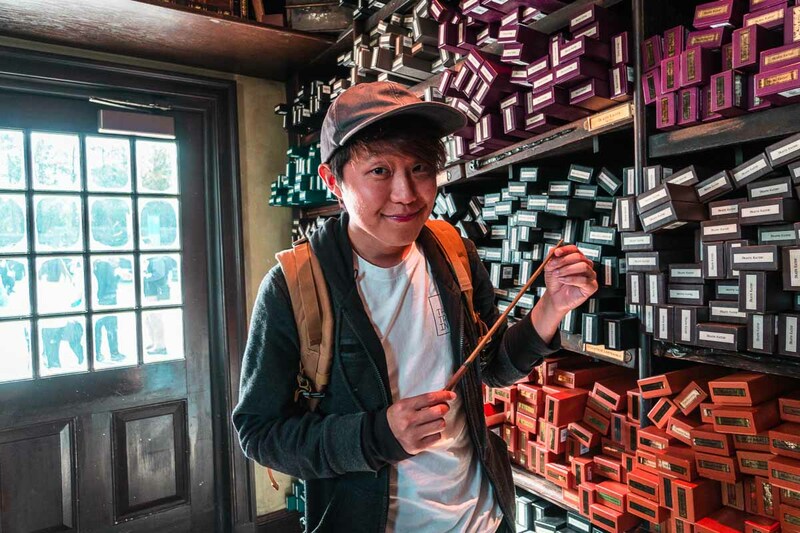 Universal Studios Hollywood (USH) is the place to be for your dose of movie magic. Viewing a “wreckage” set during the tour. USH calls itself the “Entertainment Capital of LA” with good reason. Compared to other Universal Studios theme parks, USH’s star highlight is its world-famous studio tour. 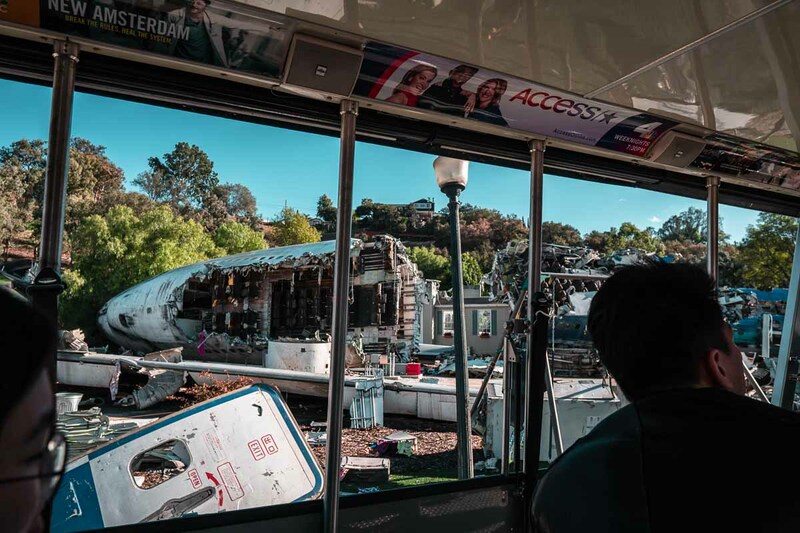 The must-do interactive ride features behind-the-scenes tours of live studios, as well as stunning real-life simulations like being caught in an earthquake. The set design and feel of USH is incredibly rich and detailed, making you feel like you’ve been transported into your favourite movie. 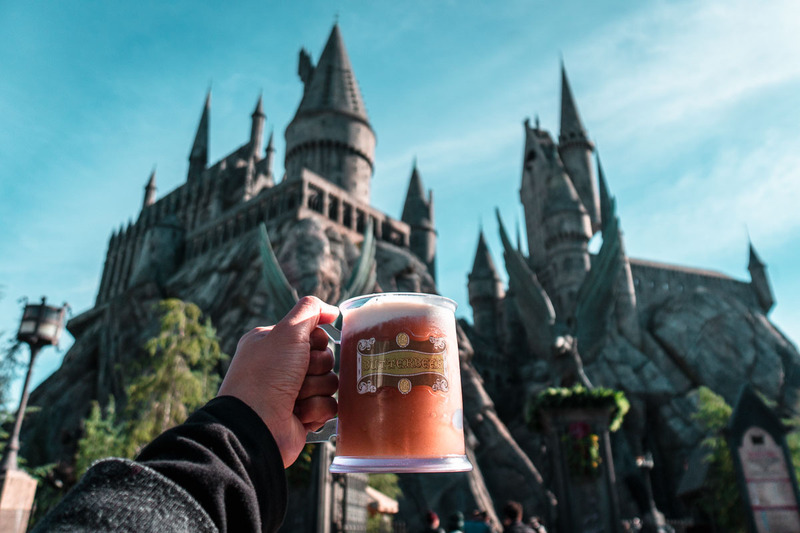 We loved the immersive Wizarding World of Harry Potter, where we grabbed a delectable frozen Butterbeer (US$13.13, ~S$18 with souvenir mug)! While you’re here, don’t miss Harry Potter and the Forbidden Journey, an award-winning ride where you’ll encounter loads of magical creatures while soaring through Hogwarts. Insider’s Tips: Get an express pass when visiting during high season or on weekends. Start with The Wizarding World of Harry Potter as that will be the most crowded part of the park. Afterwards, head to the lower lot that’s less crowded. Do the studio tour before lunch before covering the other rides in the upper lot. How to get there: Take the Metro Red Line to Universal City, then cross the street and take the shuttle bus that runs every 10–15 minutes. Adrenaline junkies, meet your maker match. 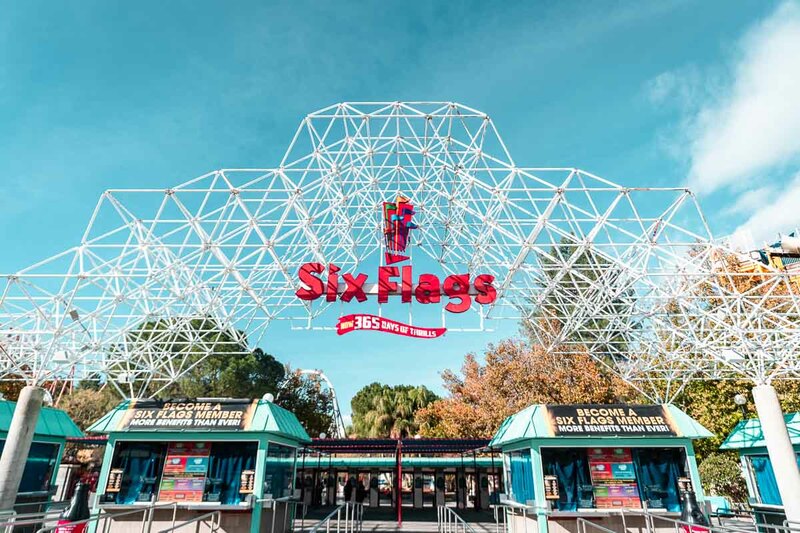 Six Flags Magic Mountain houses a whopping 19 rollercoasters! Could you ride them all? Would you? Flying on the Tatsu Rollercoaster. CraZanity is motion sickness’s worst nightmare. I wish you luck! Six Flags really isn’t for the faint-hearted. The bulk of the rides here caters to those who desire extreme fun and relish in the thrill of it all. 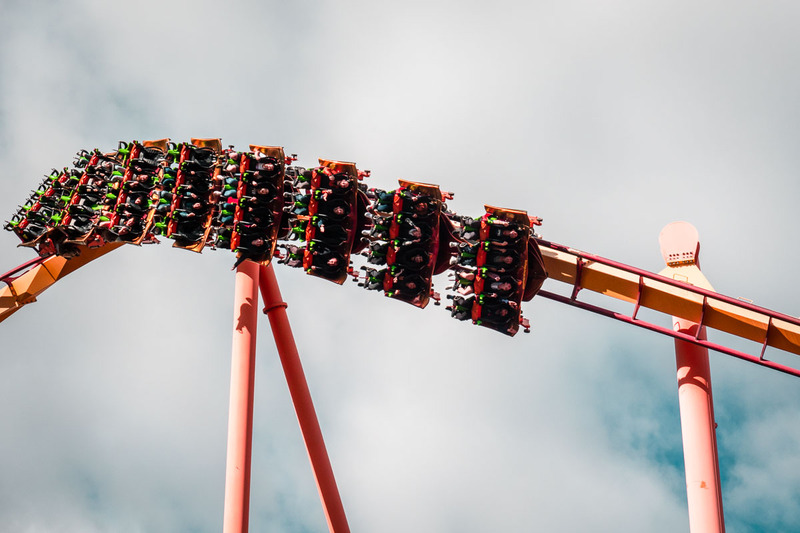 One of the many must-rides is Tatsu, which was the world’s tallest and fastest flying rollercoaster when it opened in 2006. The ride sends you (face down!) through terrifying corkscrews and the world’s largest pretzel-loop. Other insane rides include X2, Goliath, and CraZanity. 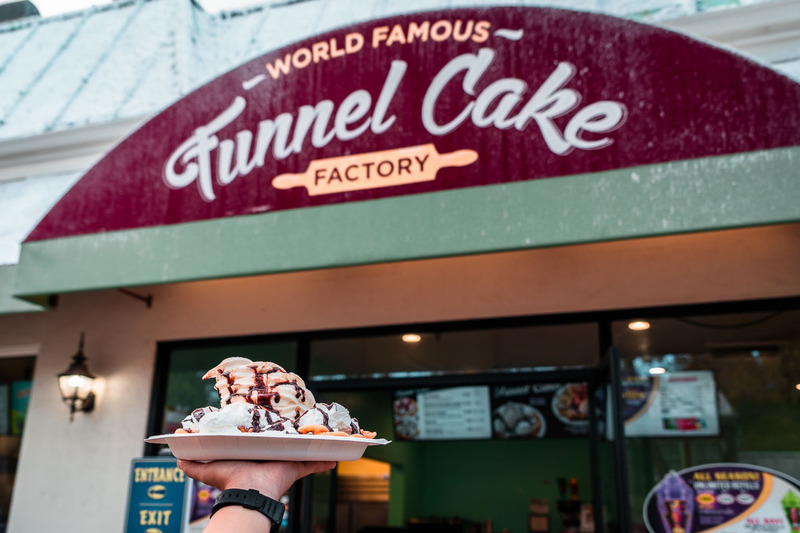 If you’re looking for a sugary treat to continue fuelling your adrenaline or reward yourself for surviving the day, indulge in a decadent funnel cake topped with ice cream and chocolate syrup (US$12.03, ~S$16.55). 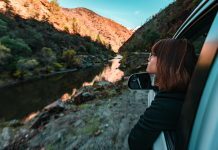 Insider’s Tips: Driving is the best way to reach the park. Call ahead to check if the park is open as there are strictly no refunds, even in inclement weather. Visit on a weekday (Mon or Tue is best), and arrive slightly before opening hours to beat the crowds that generally come in the afternoon. How to get there: Drive on the Interstate Freeway 5 North to Magic Mountain Parkway. Alternatively, take the Metro Red Line to North Hollywood, then take the NoHo Express Route 757 bus to the McBean Regional Transit Station. Change to Santa Clarita Transit Routes 3 & 7 to Six Flags. Good news for animal lovers who are also theme park fans! SeaWorld San Diego is the place to get up close with animals, and then get screaming. 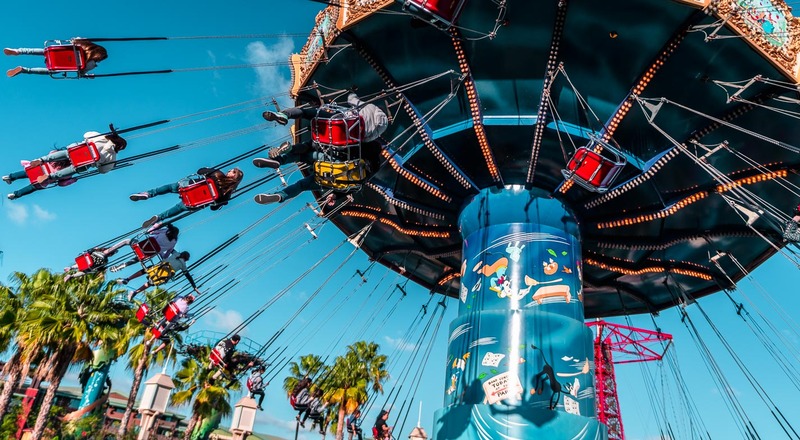 Doubling up as an aquatic park and theme park, SeaWorld is a family-friendly joint that’s enjoyable for all ages. 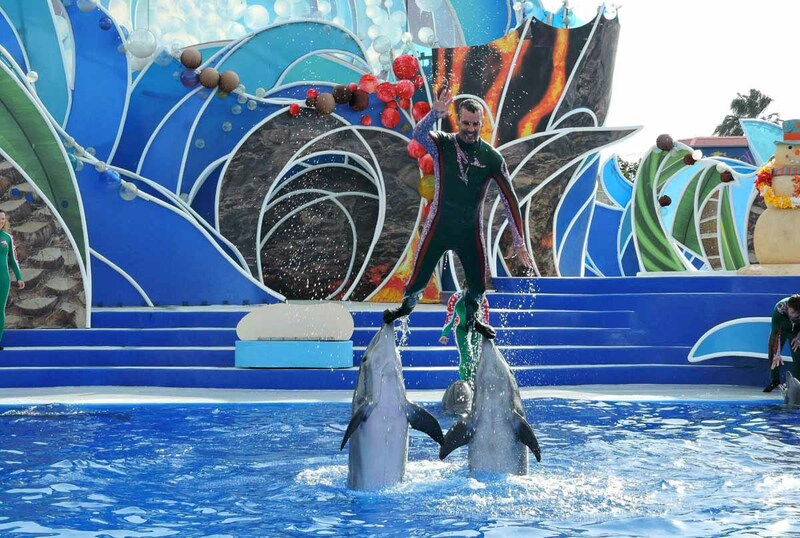 The main attractions you can’t miss are the amazing animal shows. 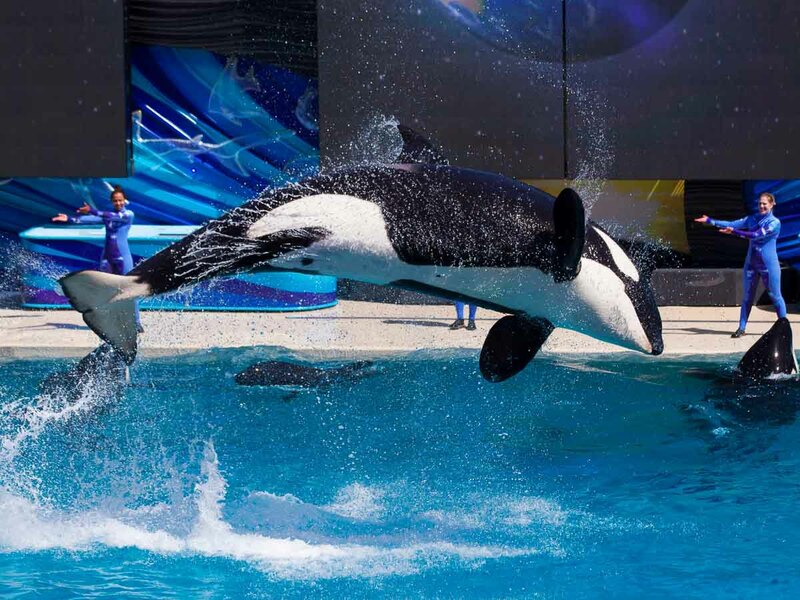 You’ll watch majestic marine animals like huge orcas, frisky dolphins and sea lions perform impressive tricks and play around with their handlers. When you’re ready to be thrilled, have a poncho or a change of clothes ready! You’re in for a splashing fun time with rides like the Journey to Atlantis (it’s a water-based theme park, what did you expect?). 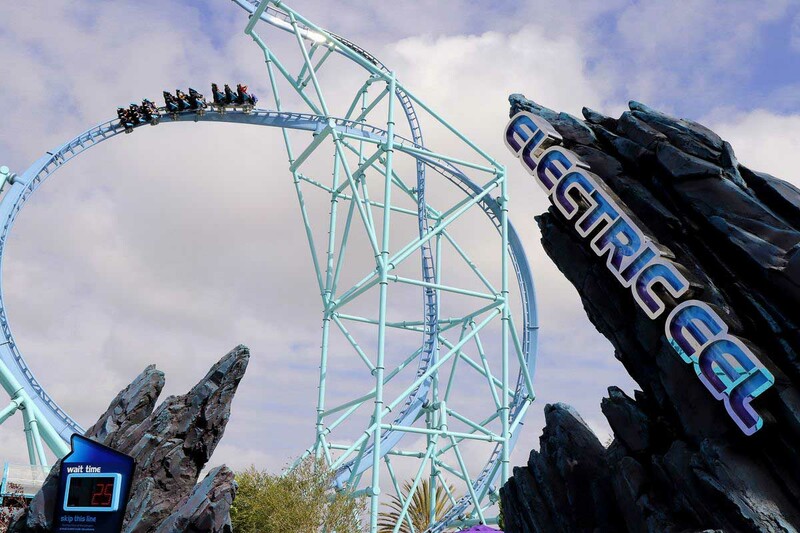 If you want a more eelectrifying ride, jump on the Electric Eel — this rollercoaster will blast you forwards and backwards through a series of looping twists. A good way to dry off, I guess. Insider’s Tips: Driving is the best way to reach the park. Plan your day around feedings and shows that you want to see. Arrive about 30 minutes earlier before showtime to get the best seats. How to get there: Drive on the Interstate Freeway 5 South towards Santa Ana, and take exit 21 for SeaWorld. Don’t be fooled by its name. 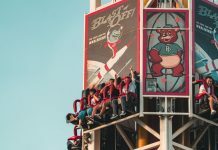 Knott’s Berry Farm is the one of the oldest theme parks in Southern California, and is a great go-to if you’re looking for thrills for the whole family. Interestingly, Knott’s Berry Farm was a berry farm in 1920. Today, the park has 40 rides for both families and thrill-seekers. 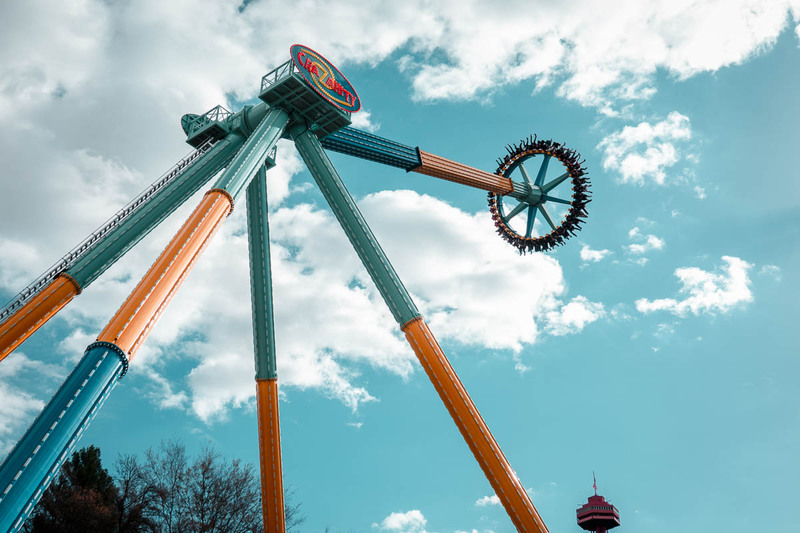 Young kids and old-school comic book readers would enjoy Camp Snoopy, an adorable Peanuts-themed area with fun rides like Charlie Brown’s Kite Flyer. But if you’re craving an adrenaline rush, don’t miss out on the GhostRider, Silver Bullet, and HangTime. 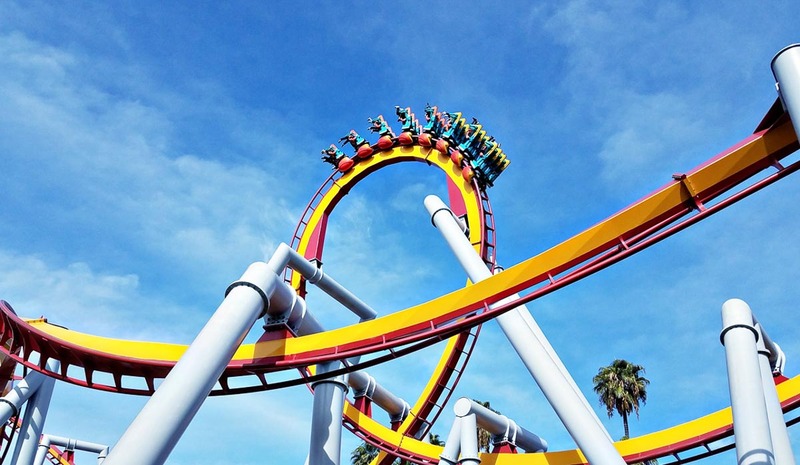 These extreme rollercoasters are sure to get you screeching. At Knott’s Berry Farm, it’s essential to have the historical fried chicken at Mrs. Knott’s Chicken Dinner Restaurant. Have their famous (and large!) 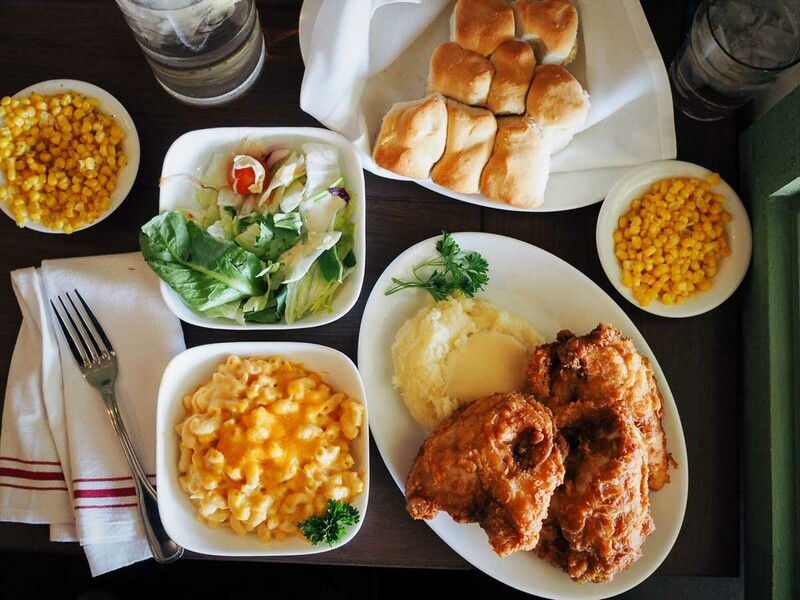 fried chicken dinner, which comes with a medley of sides, biscuits, and dessert (US$21.99, ~S$30.25). Insider’s Tips: Visit mid-week (preferably Tue – Thu) during off-peak seasons for the lightest crowds. Arrive 30 mins before opening hours to walk to the gate and clear security inspection. 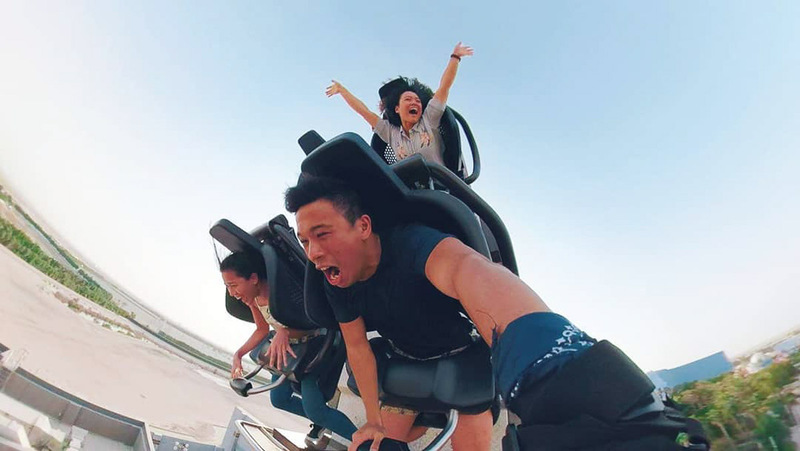 Complete the thrill rides in a clockwise rotation, starting from the right side at the back the park to the front. 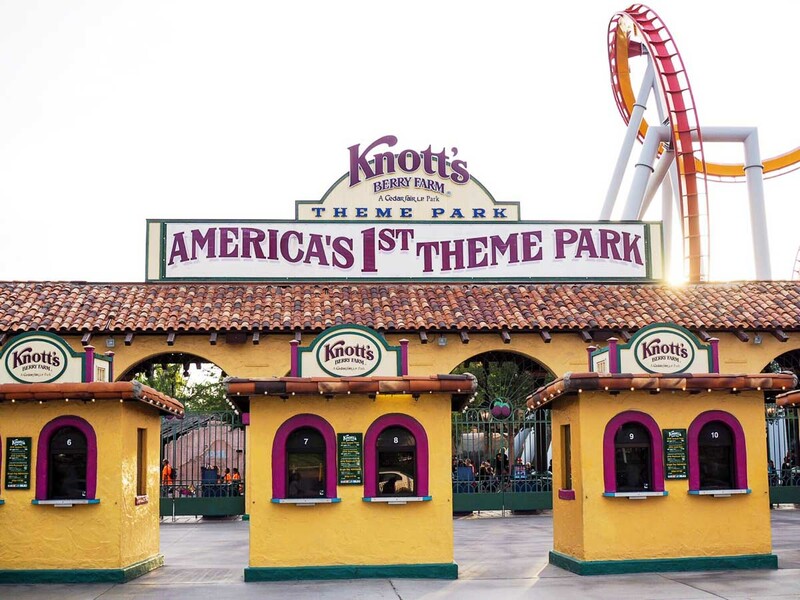 How to get there: Take Metro bus 460 from Downtown LA to Knott’s Berry Farm. 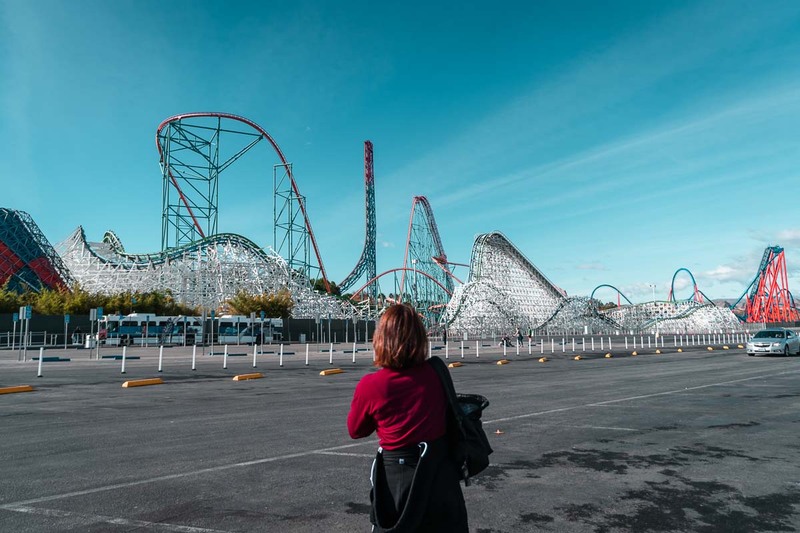 From the whimsical fantasy of Disneyland to the aggressive rides at Six Flags Magic Mountain, California’s got six awesome theme parks with something for everyone to enjoy. But don’t get caught in the long lines queuing for expensive tickets at the gate! There’s no magic in that. Instead, save time and money by purchasing your tickets online in advance. It’s a fast and hassle-free process, and we received our vouchers almost instantly after booking. Entering the park was a breeze as we bypassed the ticket queues and scanned our vouchers at the entrance. Trust me, this is a lifesaver especially for more crowded parks like Disneyland and USH! Pre-booking online also gave us open date tickets, which allowed us to enter anytime within a year from the date of purchase or within fixed dates, depending on the park. The flexibility of the tickets was a blessing because a sudden storm hit LA and disrupted our theme park plans for the day. We went the next day instead, and had no troubles getting in. 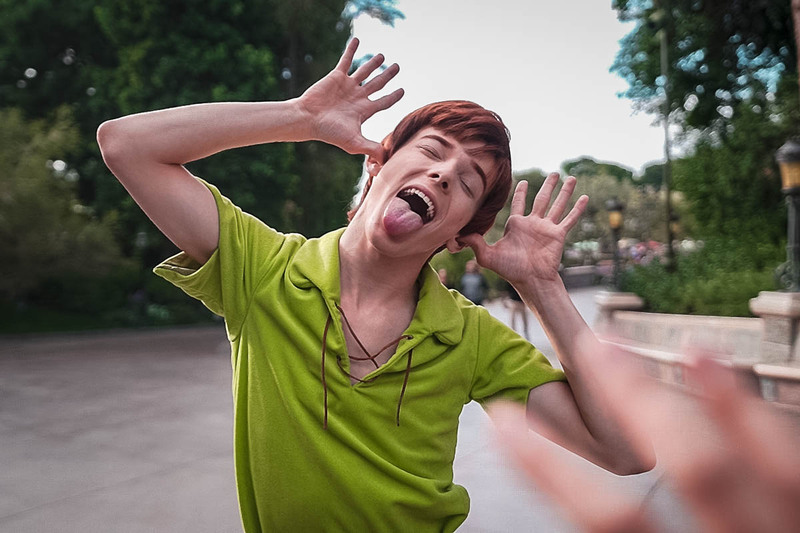 Be like Peter Pan, and never grow up. 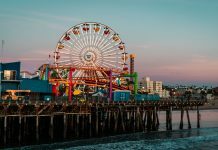 Which California theme park is your favourite? Have a ride you absolutely loved? Tell us all about it in the comments below!